As Em would say, "Holy Crap!" This instalment of the Faerie Guardian series, the 2nd in Emmerson's story, is fantastic. It is a wild journey. We follow her to the Unseelie Court, take a side trip to a Shadow Realm and stop by the human world. We even come back to the place where the veil had been ripped open 18 years earlier. The place where all the Griffin gifted had been exposed to the warped leaders of the Guild. A lot happens to Em throughout this journey. She agreed to wed the Unseelie Prince... Anything to save her Mother. Em learned quickly that she had much to learn. I love this series! Even in the first book, Faerie Guardian, I was impressed how Morgan created an entire magical realm. 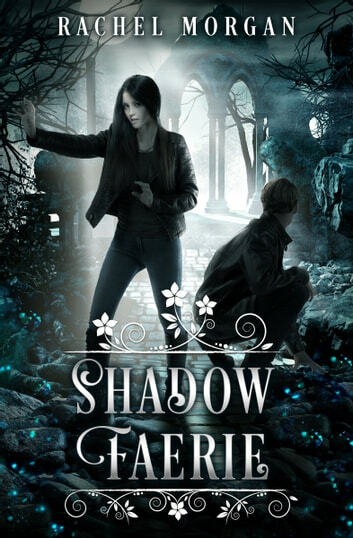 The Fae operate the Guild where they train and administer Guardians to protect the human realm. They travel by Fearie paths and live in trees - well that's what they look like from the outside. Each book and novella adds on to the reader's knowledge of the realm to which we were initially introduced to, known as Creepy Hollow. I heartily recommend this book if you have already read the series. If not, do yourself a favour and start at the beginng. 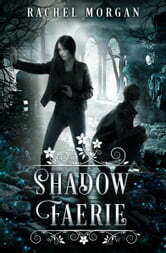 The First trilogy is Violet's story and the first book is Faerie Guardian and may be free on many retailers. Go! Grab your copy. Start or continue, Either way, you will not be disappointed! I was sent an advance copy for review by the author. Rachel Morgan has brought us back into the Faerie world in this 8th instalment of the Creepy Hollows story. In this story we continue to follow Emerson from the 7th book. This story is the largest so far in the series and with how much action and twists and turns the characters face along the way it seems to be the darkest, in terms of setting, story, characters, etc... If the reader has been paying attention they may have foreseen some twists coming from early on, but the author does a great job of providing even more so even the observant are taken by surprise at least once. It was disappointing to have less comedy thrown into the story throughout, with most existing only at certain spots when the story lightens enough for it. The rest of the time, however, all relationships and interactions are tinged by the dark content that can't be ignored. Overall I have been left ready for more, which will come when the 9th instalment releases, which I assume will be early 2018. I was a bit irritated and frustrated at the beginning. Irritated because I nearly believed the unseelie are not that bad and frustrated because Emerson did not step up into hero territory. By the middle of the book, action is getting more and things come into motion until in the end, I was really disappointed that it was finished and I have to wait until the final instalment comes out. I am really looking forward to seeing all revealed and solved in the end (please!!). Love creepy hollows! CAN'T WAIT FOR THE LAST BOOK!! The series that revolves around Emerson is my favourite so far. I love that she is so strong and independent, despite the situations she found herself in. If you read since book 1, and you love this book, you will note that the littlest details from book one still echo all the way til this book in a masterful way. I love how the plot unfolds and doesn't immediately reveal itself, but is done carefully with small details throughout. SUCH a big fan. I can't wait for the last book! And please keep writing Ms. Morgan! Absolutely amazing!! I love how everything comes together about Em's family and there were several surprises I didn't figure out ahead of time. The kiss was worth waiting for and I'm super excited for book 9!